﻿ GR11. 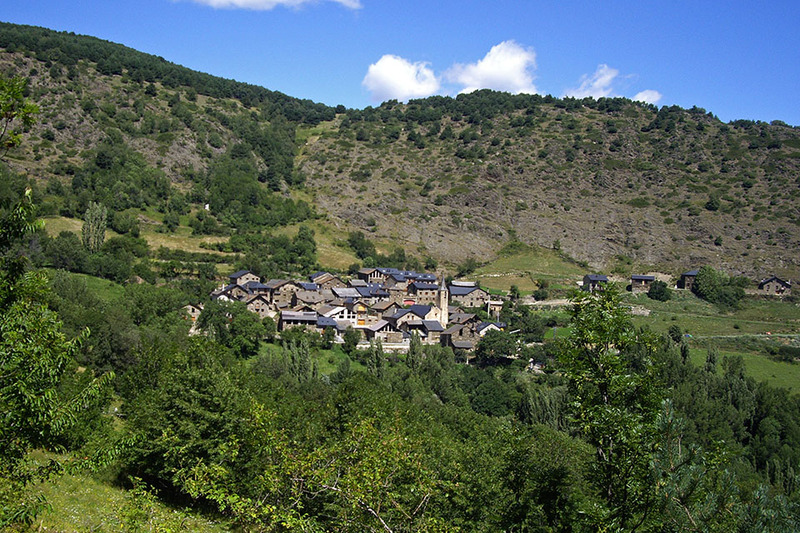 Stage 26: Ernest Mallafré - La Guingueta d'Àneu. Distance/elevation: 17,4 kms / (+240m),(-1.200m). Time: 4h45min (walking time without stops). Agua: You will find several drinking fountains along the route. Suggestions: it is possible to reach Jou following the variant GR11.19, via Fogueruix col (2,108m). 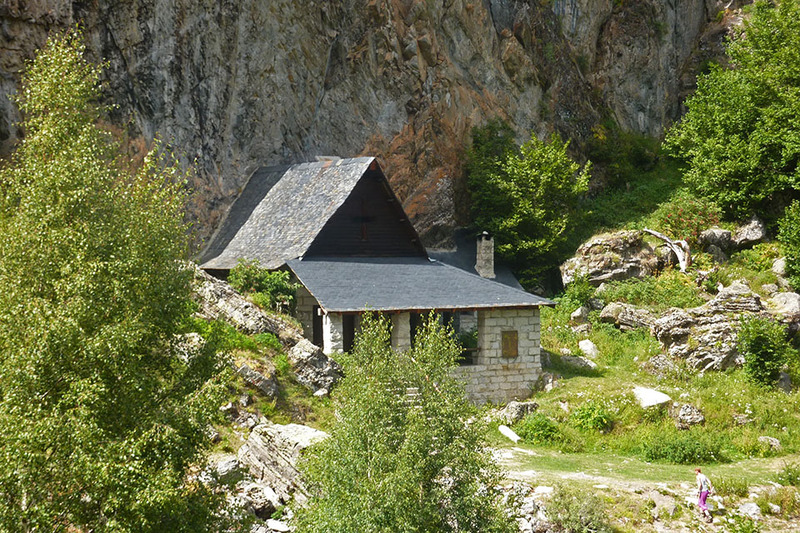 (0h0min;0km) Refugi Ernest Mallafré (1.950m). 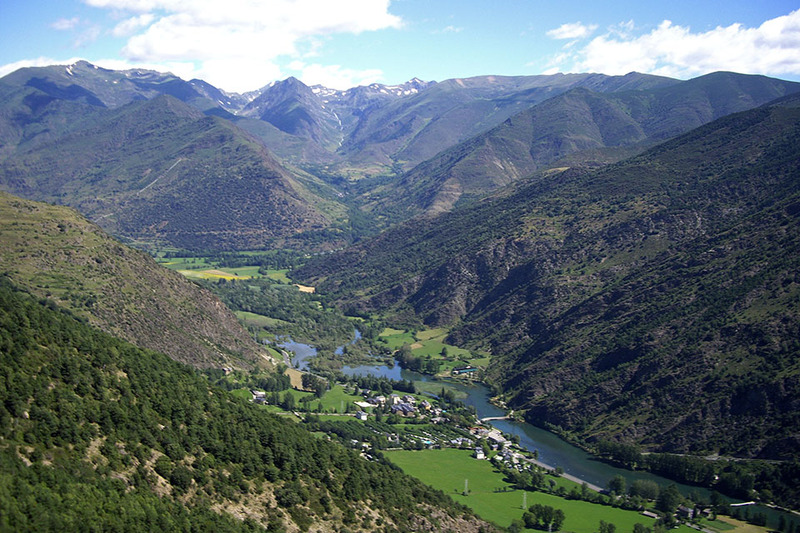 Go back to the track that leads to Estany de Sant Maurici (0.5kms) then continue to walk down the Escrita river valley. 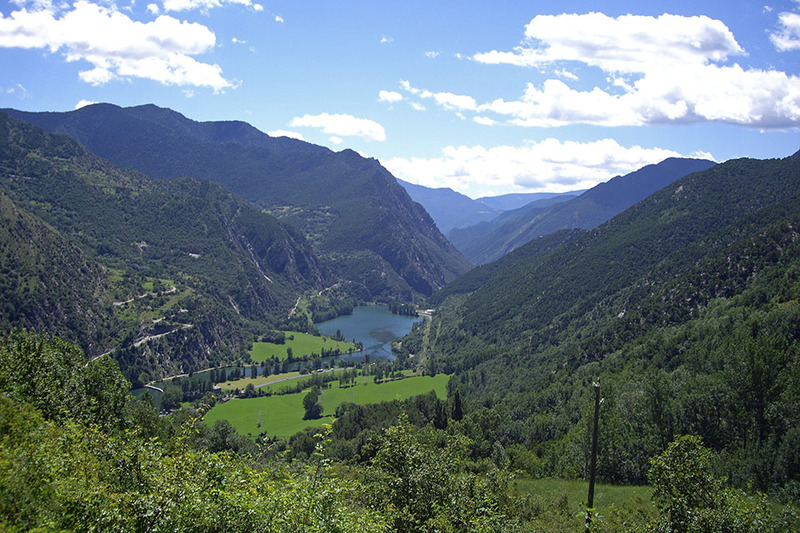 Your route coincides with a local walk, Ruta del Isard, that climbs up from the Prat de Pierró car park to Estany de Sant Maurici. 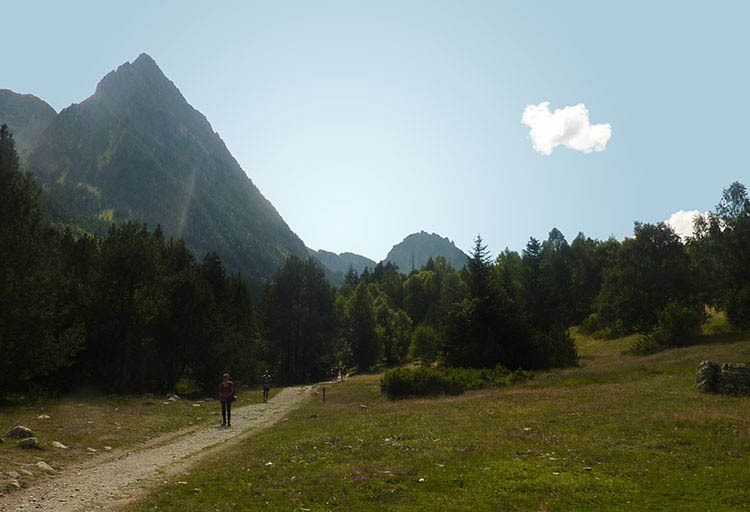 After a few bends you reach Sant Maurici chapel (drinking fountain), which you pass on the left, then follow the track to just before the road, where you take a path on the right. You walk between the road and Escrita river, crossing a magnificent forest where fir trees prevail. At Pont de Pallers, the path crosses the road and changes sides. The contrast between the sunny slope and the shaded slope is considerable. 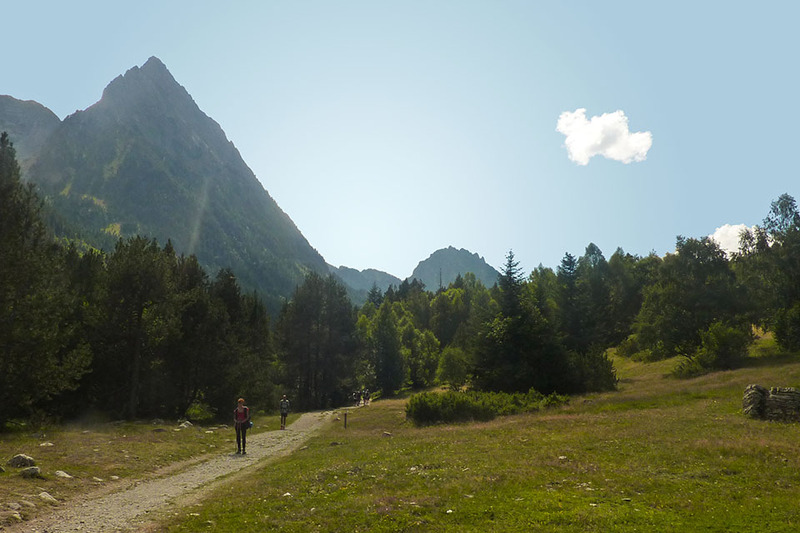 After 7 minutes, on the right, you will see the road that leads to the Prat de Pierró car park, from where vehicle access is restricted, and 1km ahead, to the left, is the GR11.19 variant that leads to Jou via Fogueruix col (2,108m). The path continues through fields and short stretches of woodland as far as Suar bridge, where you take a little road to another bridge, which you cross, just after a fire station. After 300m you reach the medieval bridge of Espot, which you also cross, then return to the right bank of the river. You come out at the road that climbs up to Espot ski resort, and you follow it downstream, remembering not to cross the next bridge, until you reach another one in the village centre. (3h10min; 11.2kms) Estaís (1.395m). There are no services in Estaís. 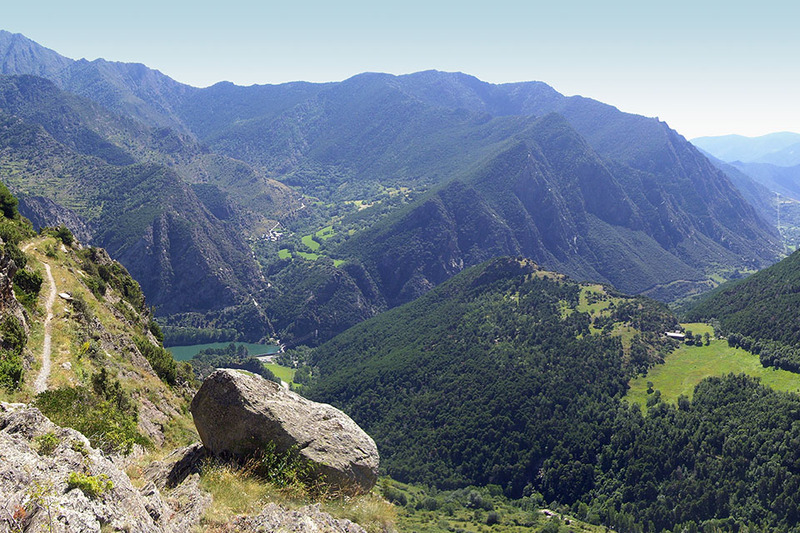 You head to the top of the village, where a path heads up the hillside, offering magnificent vistas over Aneu valley. After 1.5kms the path comes to a road, which you follow for 2.5kms to Jou. You will reach a drinking fountain after 400m. (4h10min; 15.3kms) Jou (1.305m). Once in the village, and heading up the first street on the left, you will come to a drinking fountain. 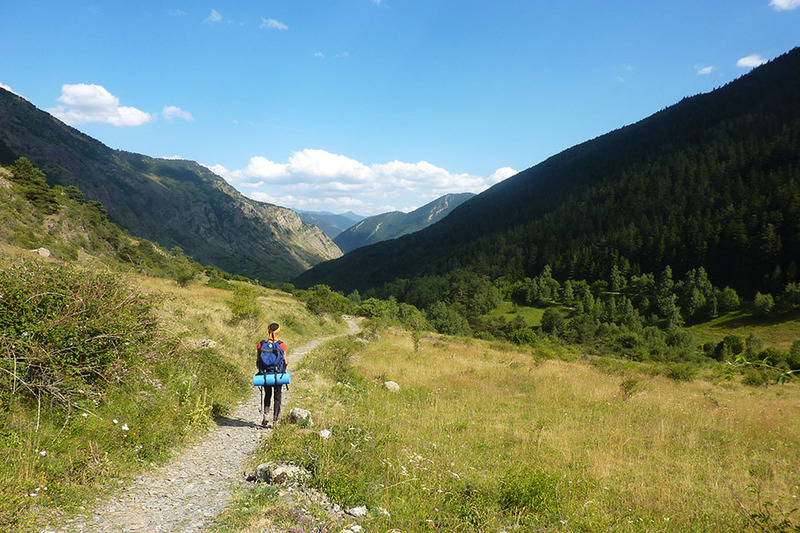 The GR11 follows the road to the end of Jou where a path - at first a stony pathway – drops sharply across Jou ravine. (4h45min; 17.4kms) La Guingueta d'Àneu (940m). At the beginning of the stage, Refugi Ernest Mallafrè (/). 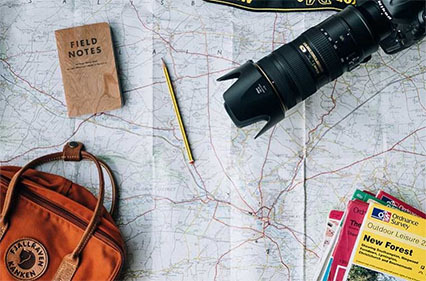 In Espot there is a choice of hotels and apartments. Among others: Hostal Casa Palmira , Casa Peret de Peretó , Casa Rural Colom or Apartaments l'Arrel. 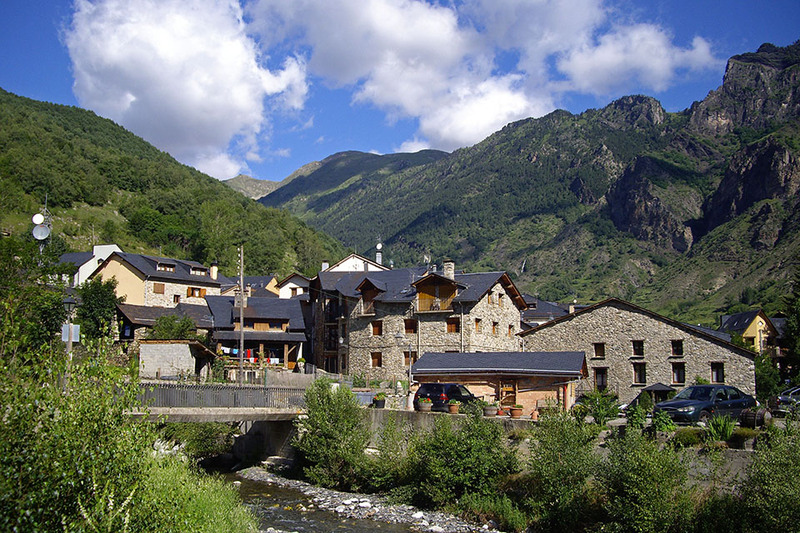 In La Guingueta d'Aneu, the Nou Campsite has chalets. 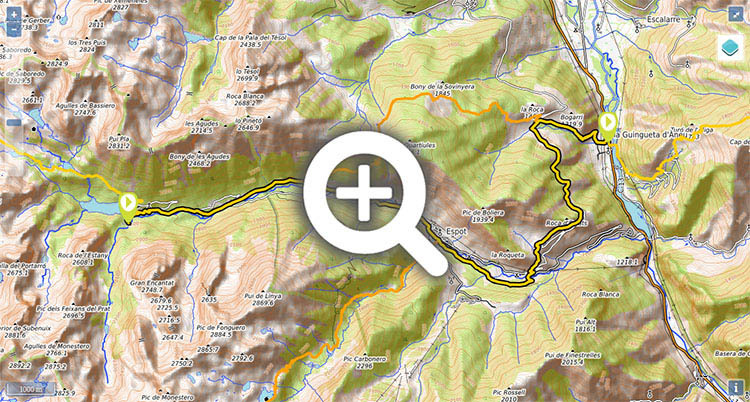 In Espot you can find bars, restaurants, an ATM, food and sports stores with basic mountain equipment. In Estaís and Jou there is no means of getting provisions. In Guingueta d'Àneu, there are bars, restaurants and a supermarket at Nou campsite. You can get to Espot from Sort by using the Parque de Aigües Tortes bus (Alsa). From Sort, there are bus connections with Lleida and Barcelona (Alsa). 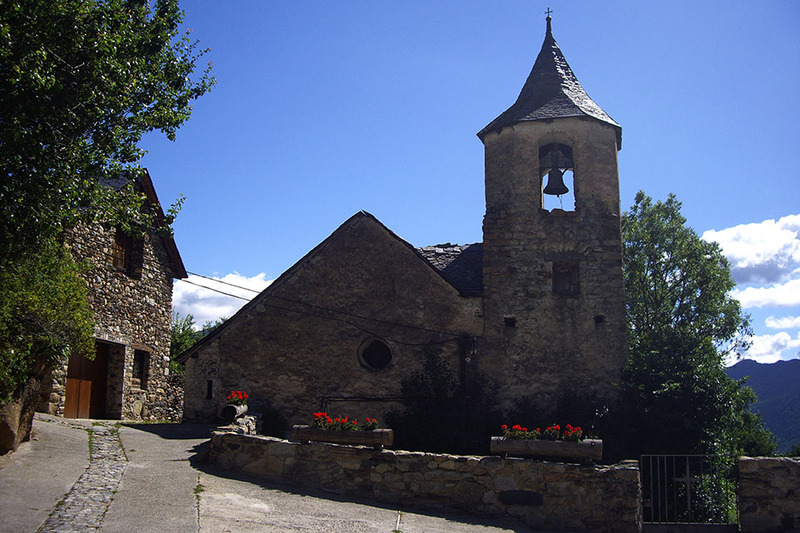 There are also connections between Sort and La Seu d'Urgell with the taxi firm Passem el Cantó (). There is a daily public service (2 trips per day). You can also get the train to La Pobla de Segur (RENFE) from Lleida and Barcelona and then take the bus. La Noguera Pallaresa is paradise for white-water sports enthusiasts. A number of companies have sprung up in the area where you can hire whatever you need. In La Guingueta d'Àneu, a short route along the banks of the reservoir shows you a number of bunkers built in 1939 (line P). Cerca del puente de Pallers.